For this exercise we were asked to take pictures in a public space showing how people make use of their personal space. I went to a small public park on a sunny afternoon. I figured that there would be lots of people enjoying sitting in the sun following several grey days. I was not disappointed. I wandered around the park several times to decide who I would take pictures of and I tried to get a range of activities. I looked for individuals and groups. 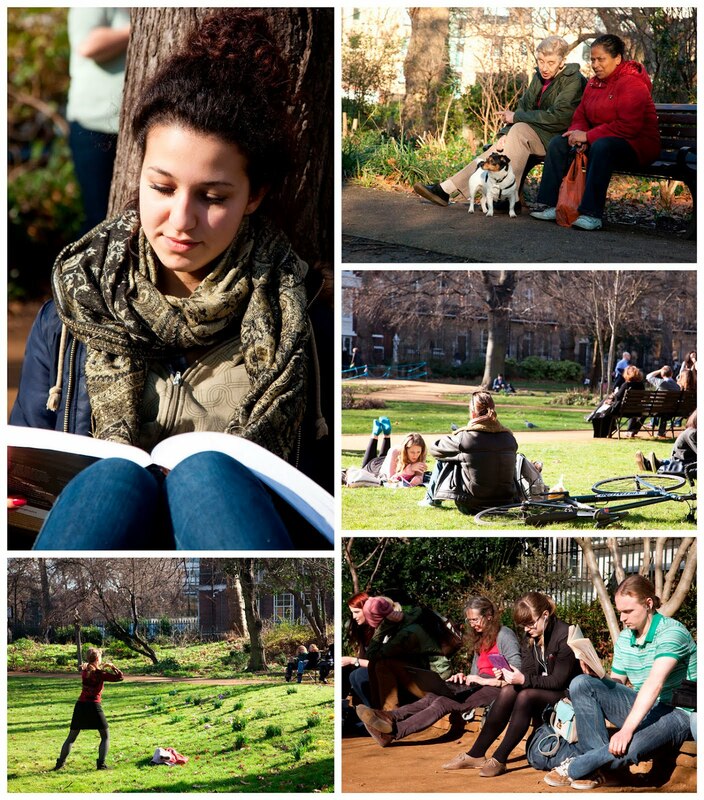 I feel these images do give a sense of lots of people enjoying their own space in a sunny park. With the exception of the young woman reading the book, I took the pictures without the people being aware of me. I wanted at least on picture close up so I asked permission to take the image of the woman reading, she was very happy to oblige. I did have a problem with people behind the tree so have tried to frame the picture without them creating too much distraction, however a wider aperture would have achieved this more than the framing.